This is now my primary 9mm for tactical courses. 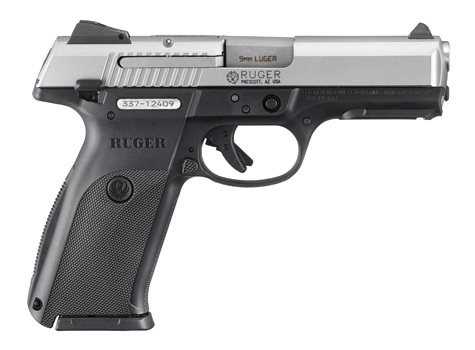 I've been a big fan of my other Ruger firearms, so I purchased an SR9.To be honest, I was determined to use it, and it took a lot of practice to get comfortable with the stock trigger on the SR9. It's a notably long and uneven pull. I would recommend everybody who purchases an SR9 buy a replacement trigger reset bar from a third party. I bought a 5 pound replacement from Ghost and it works just great. I got used to the original pull, but it took weeks of dry fire, advice, and practice on the range to stop anticipating. Aside from the trigger, the SR9 has been extremely solid for me. I've gone through 900 rounds in a day and not had misfires with any ammunition except for cheap lacquered. I love the reversible backstrap - I can make it smaller for my hands or flip it for somebody with big hands. The loaded indicator is goofy but non intrusive, and I guess a good third level of safety after manual checks. I've seen people successfully remove it, if that's your cup of tea.